Protect your footwear from rain, dirt and stains with the Liquiproof LABS Premium Protector. This long-lasting spray creates an invisible layer on fabric which repels mud, dirt, liquids and spills, as well as preventing stains from water, oils and alcohol. By fusing market leading nanotechnology with natural science, Liquiproof has created a superpowerful, yet completely non-toxic, eco-friendly solution. This protector is made with all-natural ingredients and a water-based formula, so it will not change the look, feel or smell of your items making it safe to use on all absorbent fabrics. 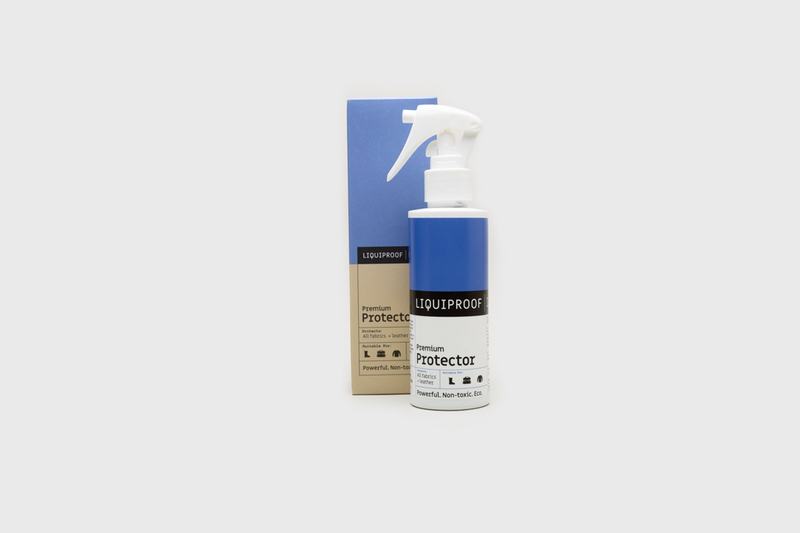 This protector is considered as the best sneaker protector on the market, it works as a protector for shoes but it's also the leading clothing protector and handbag protector, making this the perfect choice to protect your fashion items.